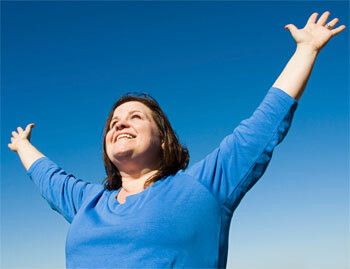 Bariatric surgery, or weight loss surgery, is surgery to achieve significant weight loss. There are a number of techniques used to perform bariatric surgery. In Roux-en-Y gastric bypass surgery, surgeons make your stomach smaller and re-route food to “bypass” part of the small intestine. In sleeve gastrectomy surgery, surgeons make your stomach smaller by removing about 75-80 percent of the stomach. Gastric bypass surgery is a type of bariatric, or weight loss, surgery. During gastric bypass surgery, your physician makes changes to your stomach and small intestine to change the way they absorb and digest food. We offer the latest procedures designed to revise, or fix, any prior weight loss surgeries you may have had, including endoscopic options. Endoscopy is a nonsurgical procedure that uses an endoscope, a long, flexible lighted tube with a camera attached to it, to view and treat the areas within your gastrointestinal tract. Surgeons perform laparoscopic sleeve gastrectomy by removing approximately 75-80 percent of the stomach. The remaining stomach is a tubular pouch that resembles a banana. Removing your adjustable band and converting you to a different surgical treatment is more complicated and carries a higher risk of complications than the initial placement of your Lap Band. This is because you are operating on the same areas for a second time or more. At COMET, our team includes experts from every medical specialty connected to obesity and weight loss. We all work together to design the safest, most effective individual treatment plan for you.